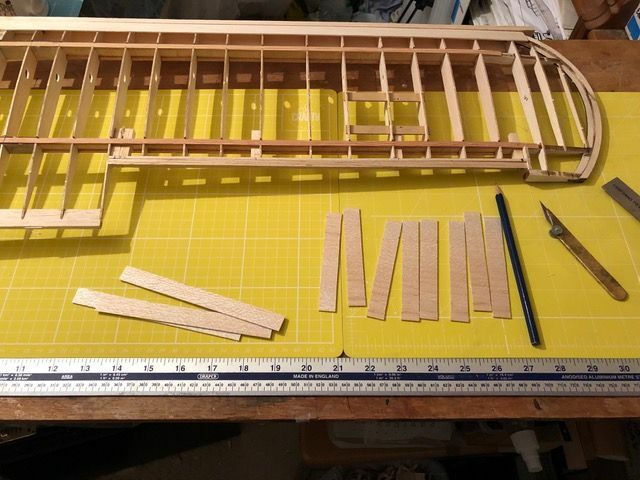 Just about to consider tank and radio layout before starting to put fusealge sides together. I am considering a similar layout as yours. How do you plan access to tank and throttle servo? 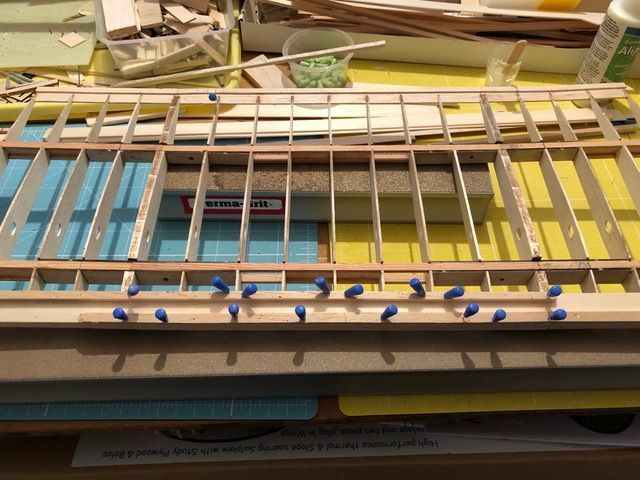 I'll have a removable hatch that covers both bays SW. The tank will be filled, pressurised and fed to the engine via the rectangular hole in the firewall. 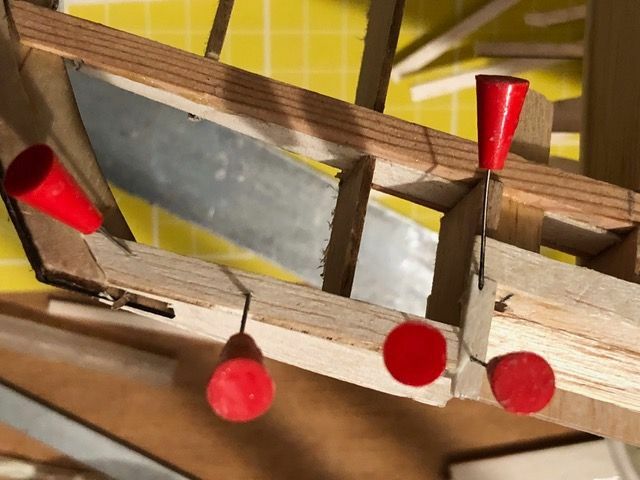 Hi Andy, regarding the mark (and servo positioning) you have made for the servo / throttle linkage through the firewall, am I right in assuming that you will be fitting a Laser engine and if so will that mark line up with the throttle connection on the engine itself? 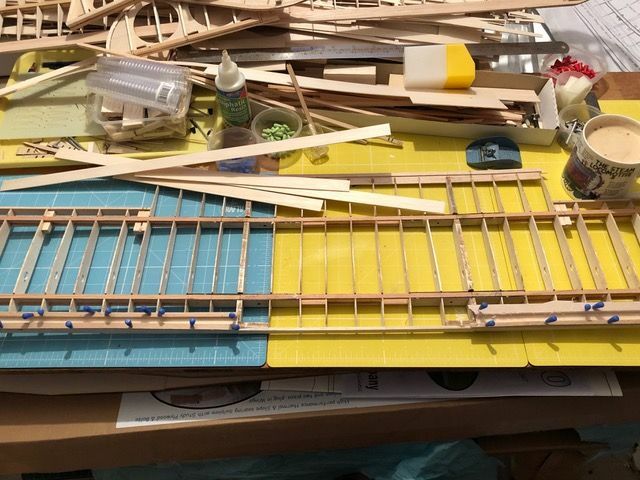 Are you planning on a Laser 80? The mark lines up with the throttle control on my Laser 70, Richard. I'll take a pic next time I'm in the workshop. 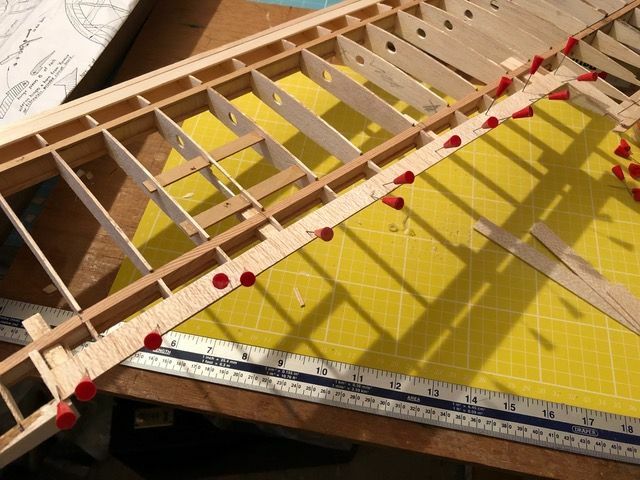 I've been working on the ailerons and have added 1/2" triangular stock to the LE rather than carve 1/2" stock to the shape on the plan. 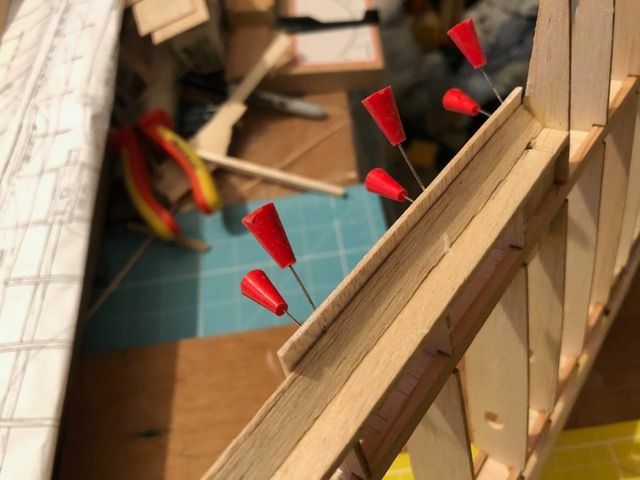 It's not exactly correct, but it'll do for a flying only model. 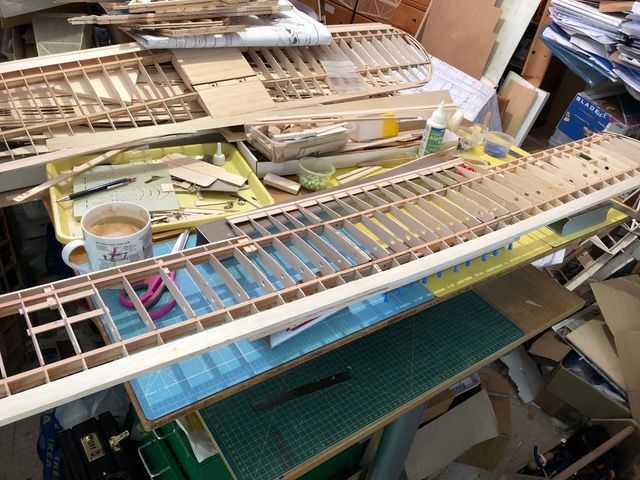 As far as the flying surfaces go, it's upper wing joining next. 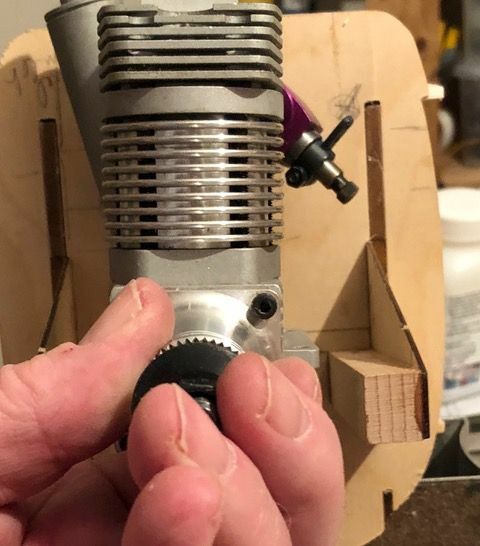 And to confirm the above post to Richard Mallam, here's a pic of the Laser 70 in it's rough mounting position with the carb control lining up with the hole mark on the firewall. How are you going to keep the engine cool? Ikura - Thanks for the kind words, Any photos will need to be taken outside, so as soon as the weather is suitable and I have the time to get the model outside, I'll do as you request. Martyn - Thanks also for the kind words. 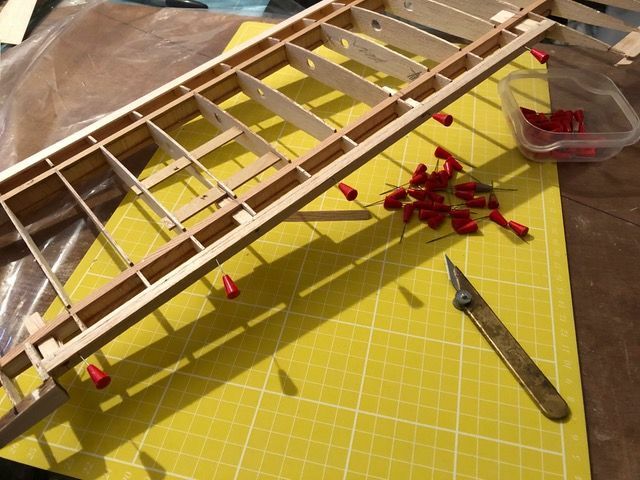 I'll be leaving the lower part of the engine cowl from the disc behind the propeller to the firewall open. The engine sticks out a bit anyway, so it shouldn't make too much difference to the side view. I'm hoping that it will be not too noticeable in the air. 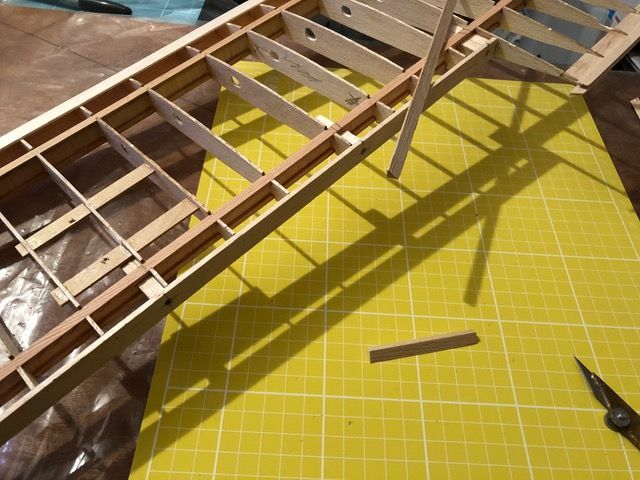 More LE sheeting next (underside and centre-section), then rib capping strips! Hi Andy, great work and you are way ahead of me (and I guess Most of us!) I have just discovered that my Laser 80 is going to be difficult to fit. 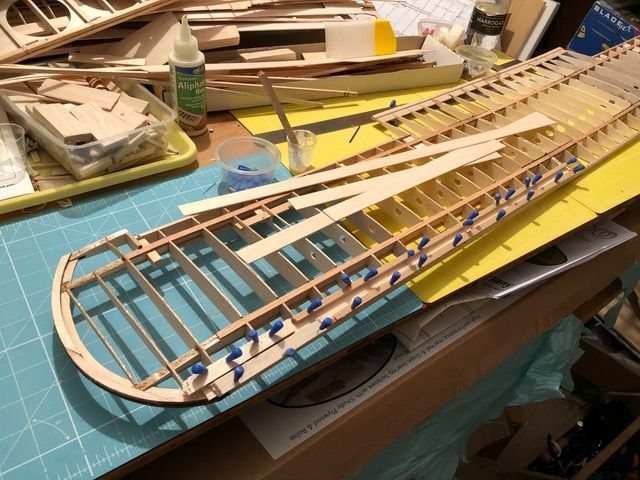 In one of your posts you are holding a laser 70 inverted and it looks as tho' you are going to fit the engine on the bottom of the bearers, if so how will you get the corect thrust line for the prop? Or am missing something such as you realised this would be a problem before fitting the bearers? Looks fabulous Andy, you are coming along great! 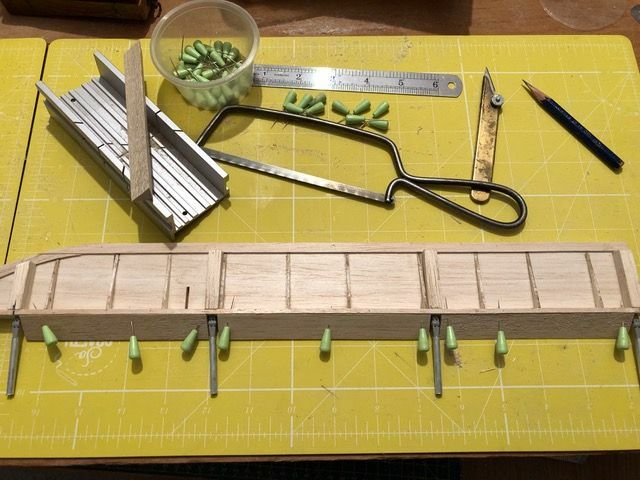 Jim, Andy is using a 1/4 Paxolin plate for the engine, the plate then bolts to the bearers. I am sure Andy will be along soon to clarify. As Danny rightly said, Jim, I'm mounting the engine on a 1/4" paxolin plate. 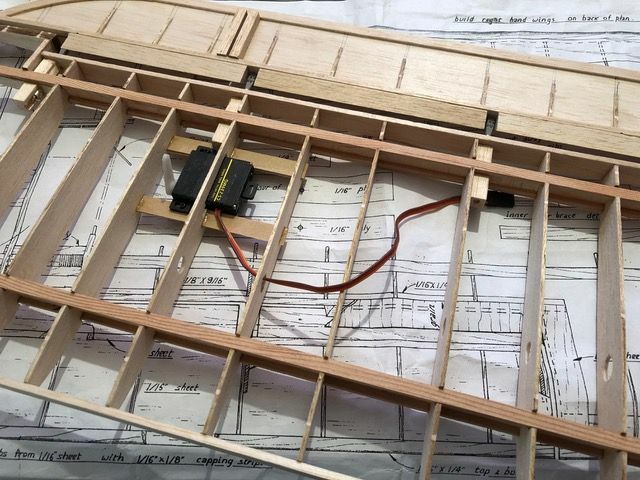 The bearers are in the position shown on the plan, which, with a 1/4" mounting plate, will put the engine thrust line in the correct place. 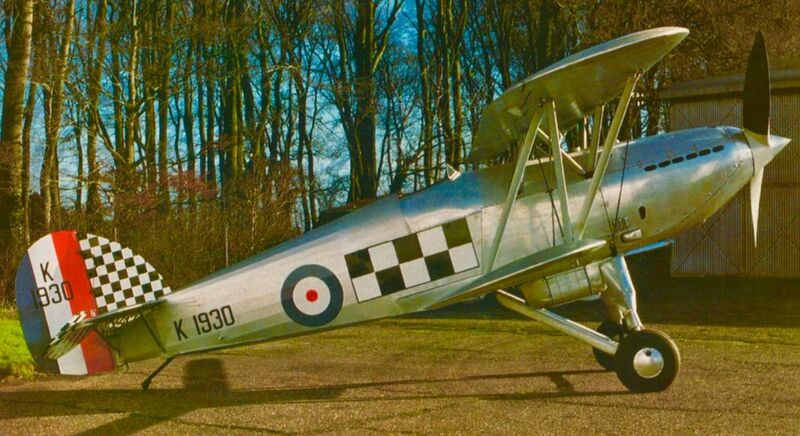 The perspective of the photo in the above post makes it look as iff the bearers are level with the engine mounting lugs, which they are not. 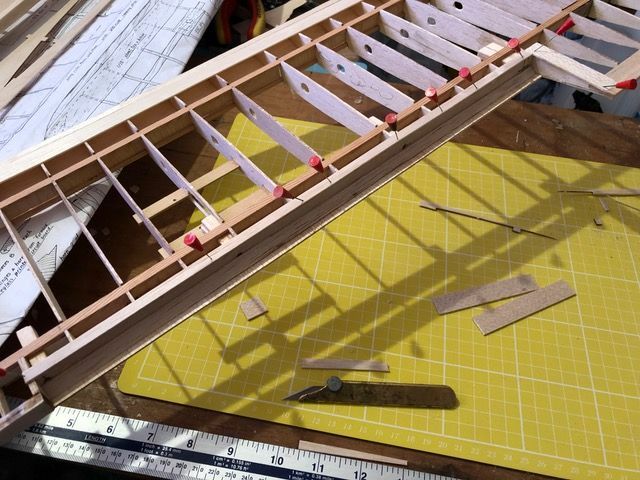 I've been working on the aileron cut-out in the wing over the past few days. 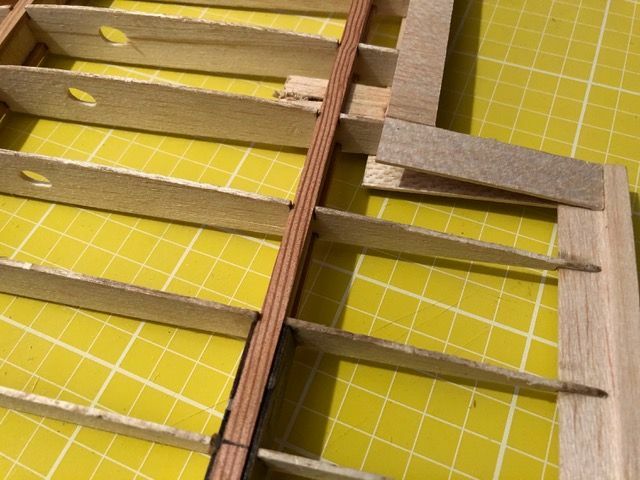 Once that's done I can start adding the rib capping strips. 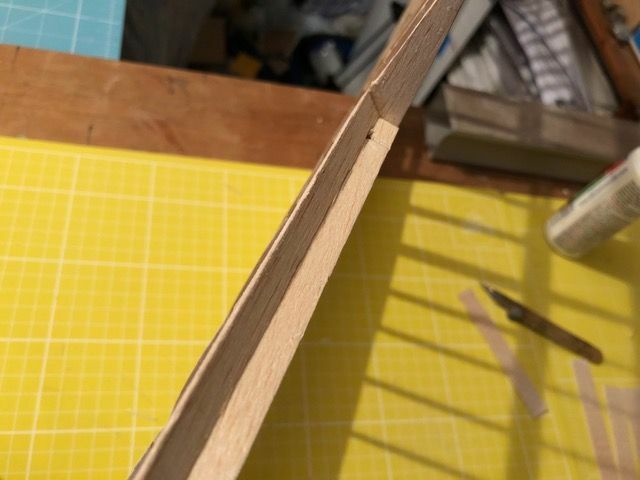 Looking ahead to the rib capping strips, I did a rough quantity check and discovered that it'll take some thirty five 36" lengths of 1/8" x 1/16" to cap all the ribs. 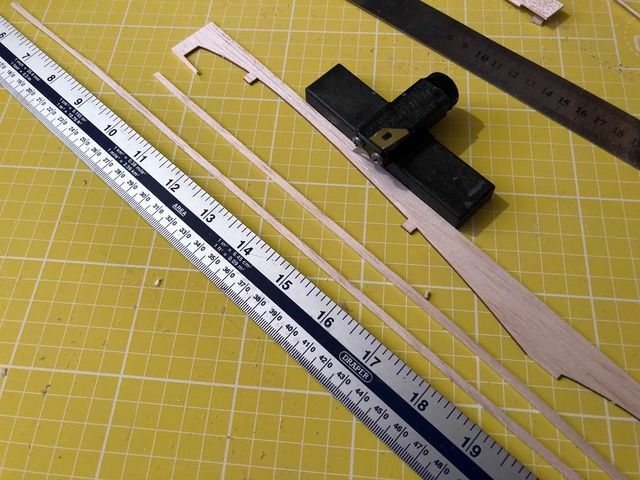 So, to save a bit of balsa, I've started stripping the remains from the laser-cut wood into 1/16" x 1/8" strips. The stripper is available from SAMS Models. 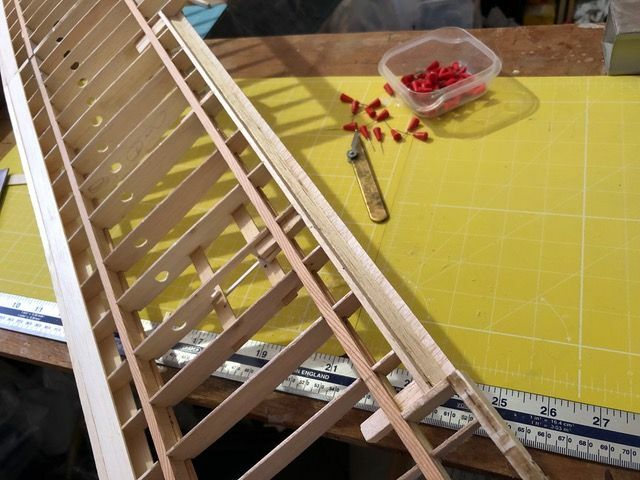 Making the aileron shroud has allowed me to start adding the capping strips....but it's also flagged up some omissions on the plan. First off, the fairing at the aileron root is relatively unsupported. Nevertheless, it remains pretty stiff, so I'll probably leave it as is. 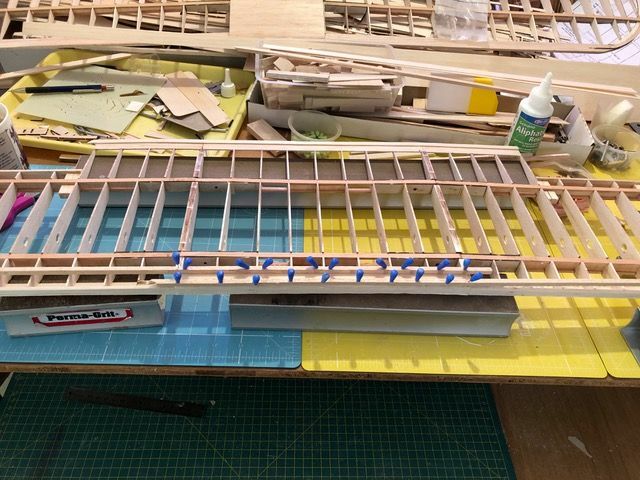 The next omission is the lack of balsa between the aileron cut out and the wing tip. 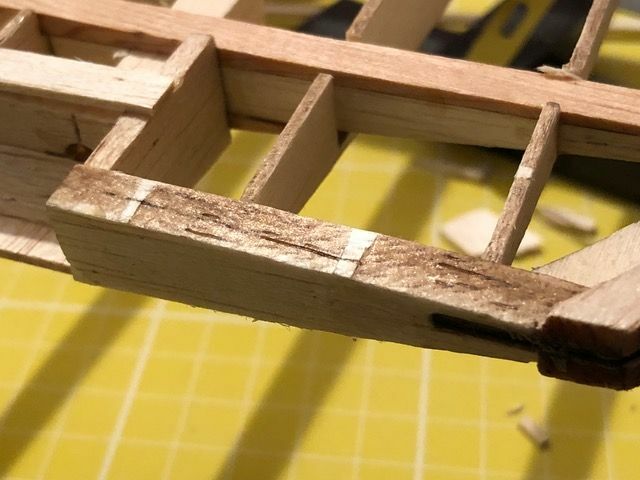 Part S1 between the aileron shroud and the TE and part S2 are not thick enough and need to be built up with 1/16" balsa both top and bottom. 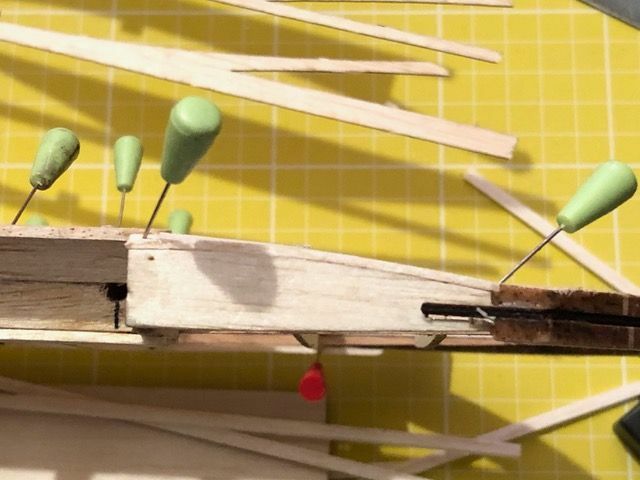 Here's a view from the TE showing the added balsa on top of S2. 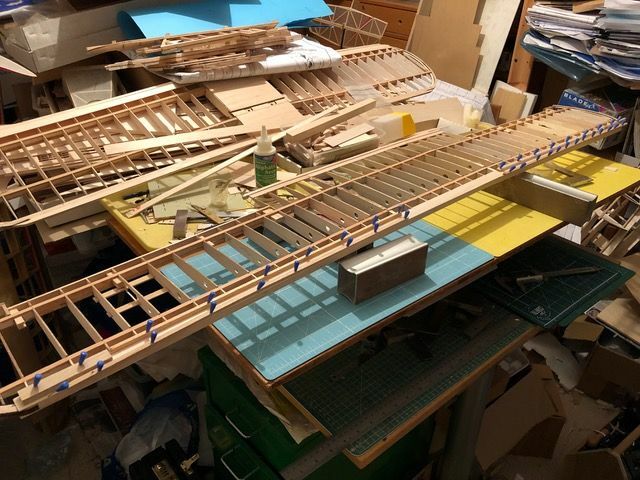 Balsa below S2 is yet to be added. 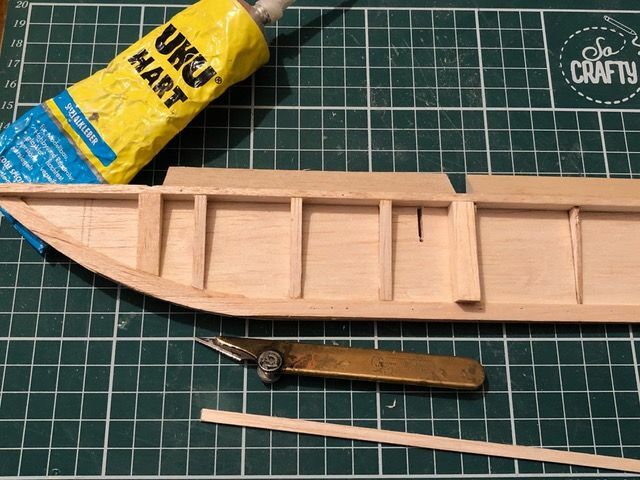 Meanwhile, I've been adding capping strips to the ailerons and using UHU Hart in an attempt to keep the adhesive weight down. 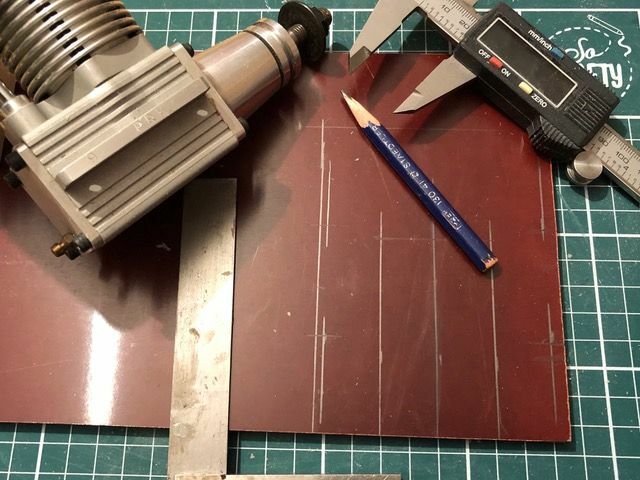 I temporarily lost the 1/4" Paxolin plate for the engine mount, so having found it yesterday, I marked it out ready for cutting for the Laser 70. 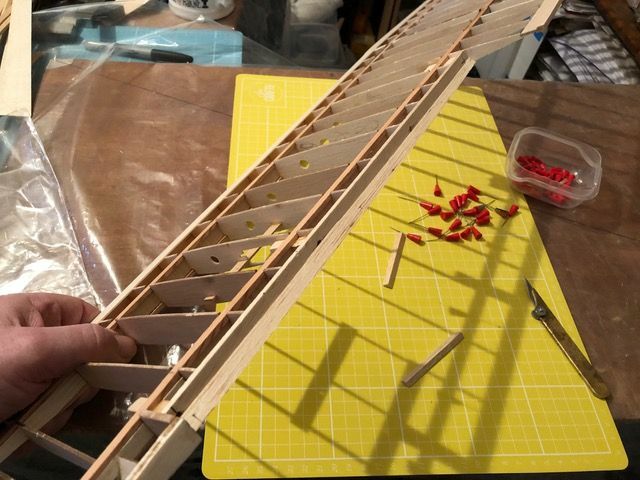 ...and finally, I nearly forgot to add the strut supports and rigging wire lands to the wings before finishing the capping strips. 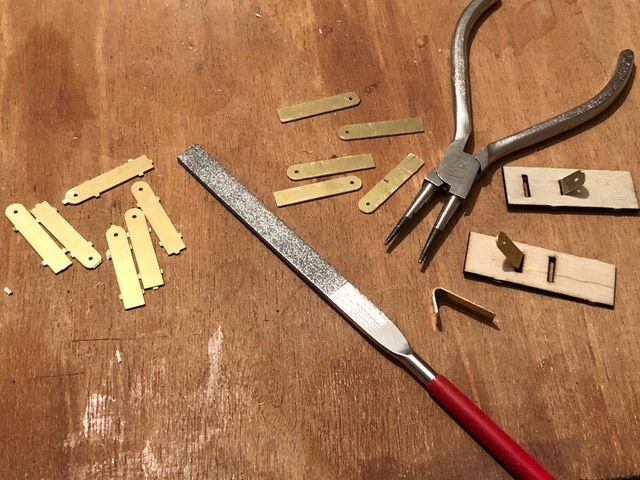 I started to saw the parts off the brass sheet, but in the end, used a pair of clippers to get the release started, then pulled the parts away by bending backwards and forwards until the tabs failed. 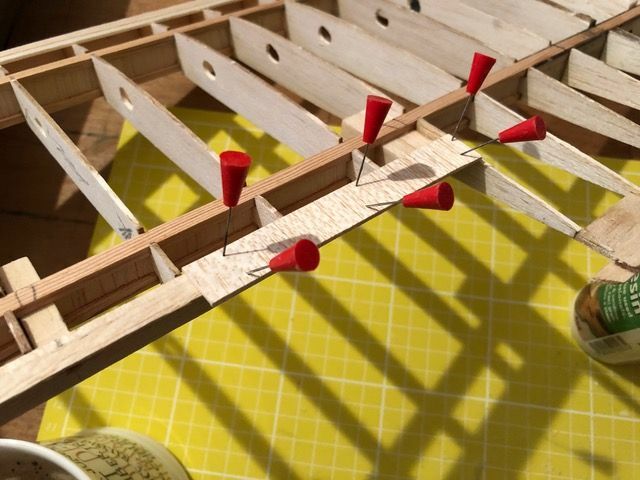 The tabs were then filed off and the required bend put into the part using a pair of round tyne pliers. 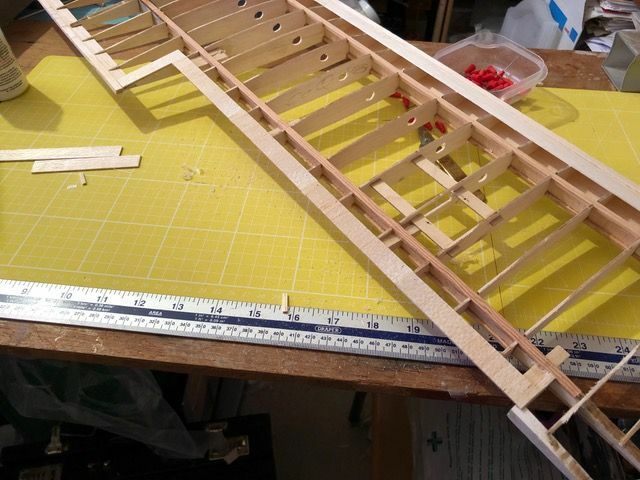 A test fit was then essayed onto the ply parts that will be attached to the wing. 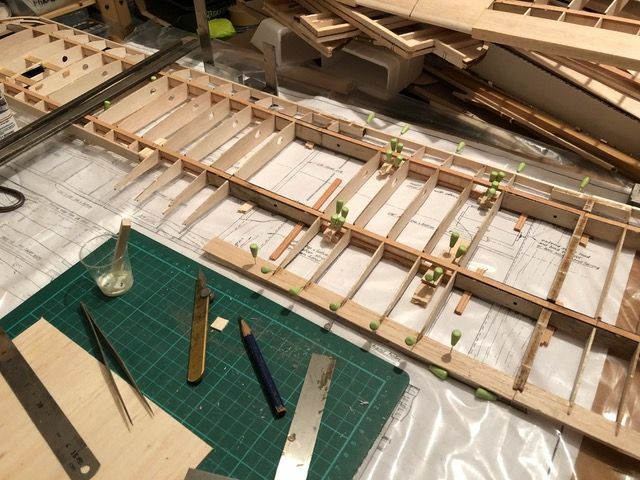 The brass parts will need to be bound to the spars first, but I wanted to make sure they fitted the holes in the ply fairings.